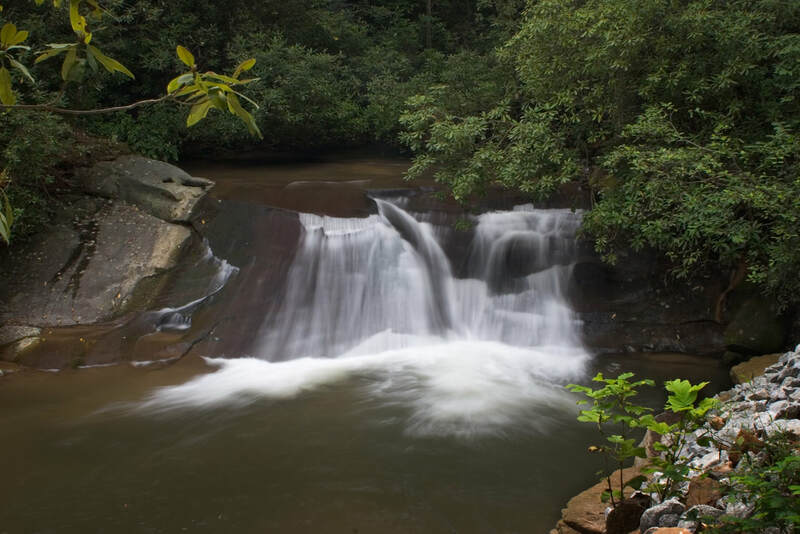 Waterfall Info: From the bottom, this is the second of five named waterfalls on Wildcat Creek. In fact, this cascade is hardly a waterfall, but its popularity merits inclusion. In summer, this is a popular hangout for folks who like to slide down the cascade and swim in the pool. Access Info: This waterfall is nearly roadside along Wildcat Creek Road (FS 26.1). A path leads to the base.